Goldie, first let’s look at expenses you would likely encounter beyond the costs of fuel and food. After talking to some of our RV cohorts, we identified accommodations, communications, RV maintenance and travel medical insurance as areas of most concern. I’ll focus in on suggestions for accommodations and communications. It’s an absolute wonder where RVers park. 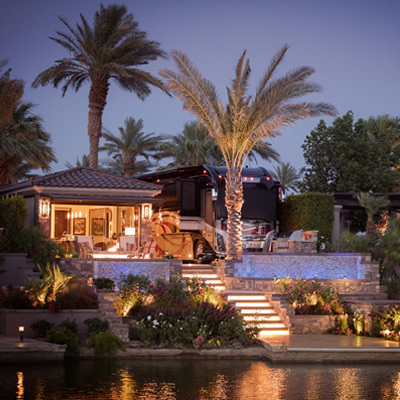 You can find RVs everywhere from Walmart parking lots to elaborate resorts with all their facilities, organized activities and entertainment. So the choices are almost infinite. The rule of thumb is the longer you stay in one place the more reasonable the rates are. For example, one park in southern Arizona posted the following rates: Overnight: $30. Weekly: $176. Monthly: November $410, December $425, January to March $435, April to October $275. These are fairly standard for that area. Rates vary drastically from one state or area to another. Eastern rates tend to be higher than those in the west. If you are spending most of your time travelling, there are discount camping clubs like Passport America and Happy Camper that offer a 50 per cent discount to parks that have signed up with them. Their fee to join is reasonable. 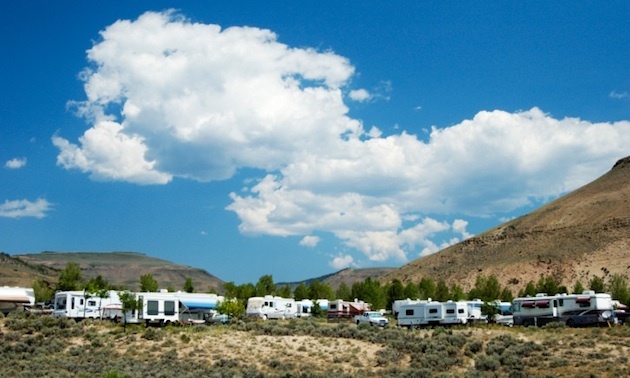 Escapees RV Club also offers reasonable rates, as well as other advantages. Their membership fees are also very reasonable. Then there is the Good Sam Club, that offers a 20 per cent discount at a number of parks. Membership parks like Thousand Trails or Western Horizon are time-share systems. You buy into a home park where you get special consideration and you can visit other campgrounds and parks in the system for a deep discount—often around $10 per night. Boondocking or dry camping can certainly help manage expenses while you are on the road. You can still find free parking areas at truck stops, etc., but many that used to be free now charge a fee. The Bureau of Land Management (BLM) has Visitor Centers that offer two weeks free camping at their short-term sites and a seven-month pass for $180 at the long-term centres throughout Arizona and California. BLM lands are particularly prevalent in the western states. Some supermarkets like Walmart encourage RVers to park in their lots overnight, but some cities have passed an ordinance against this at the encouragement of local RV park owners. Cell phones: Some Canadian cell phone service providers do offer North American plans, but most are costly if you are out of the country for any significant period of time. We put our Canadian cell on vacation when we leave Canada and pick up a pay-as-you-go phone and phone cards while we are in the U.S. These are easy to find in Walmart, dollar stores or even grocery stores. With a little extra dialling, calls to Canada are the same rate as calls to the U.S.A.
Internet access: WiFi hotspots have grown leaps and bounds over the past few years. Almost every McDonald’s has free WiFi, as well as many other restaurants. Access is available at most libraries, RV parks and truck stops. Some are free and some charge for service. There are a couple of online apps (Skype and Facetime) that don’t cost anything, providing you go from one user to another. You can pay extra and connect with any phone in Canada or the U.S. from your device. Some of my previous columns have dealt with travel medical insurance. Check out Do you really need insurance and Things you need to know about medical insurance. The next article will consider RV maintenance and upkeep. Snowbirds, if you have found any other cost-cutting suggestions, please let us know.